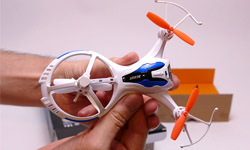 This Tricopter has changed names to the Syma X51 Spaceship. 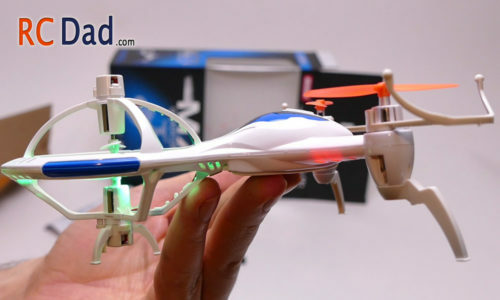 Same exact drone, just a different name. One more the more unique looking drones the Syma X51 actually has 4 motors. A push/pull aligned on top of each other in the front and two counter rotating motors in the rear. I thought this design wouldn’t work because gyro sensors are usually set up for airplanes and quadcopter, and having the motors in a Tricopter configuration would need different adjusting. 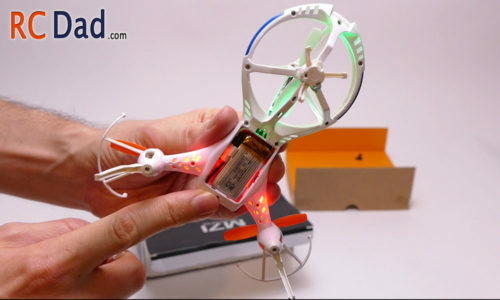 But somehow it just works, and it flies very similar to a normal RC quadcopter with just a little swing to it when you put in yaw. 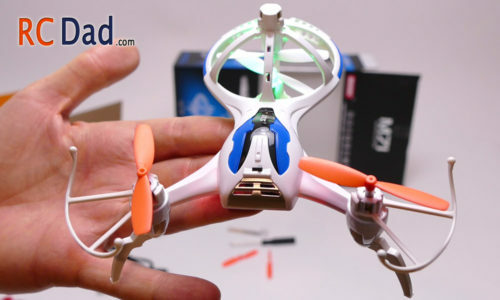 Nothing bad for such a affordable quadcopter. There are tons of toy quadcopters out there and not much changes when new models come out. Finally the M71 quadcopter comes out with a tricopter design that stands out from the rest! At first glance it appears to only have 3 motors, but the front section actually has a top and bottom motor. One pushes down and the other pulls up. When I first saw this design, I didn’t expect it to fly well at all but really wanted to test it out. 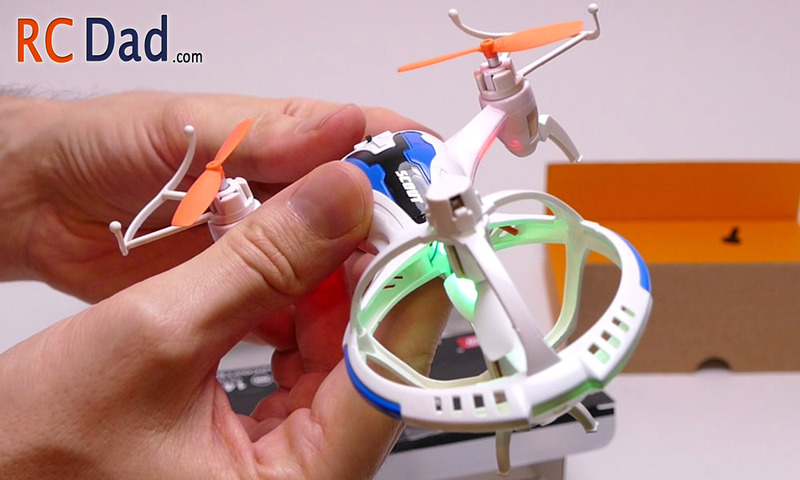 I was surprised with how well it actually handled and while it does have some strange flying characteristics, it’s still overall a great little toy quadcopter. I’ll start with the CONS. First is the yaw or spinning. 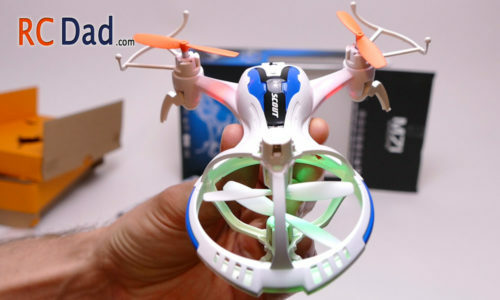 If you’re hovering in one position and add yaw, the quadcopter will sway around and won’t stay in one spot very well. 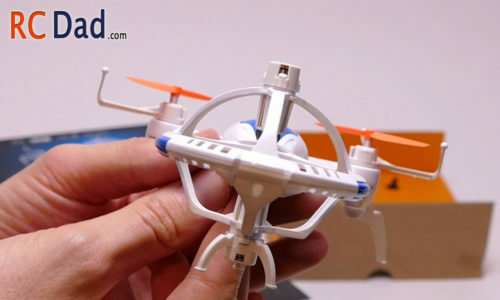 This isn’t a big deal outside where you have plenty of space but inside, especially in a small room it can make it difficult to control for beginner fliers. Outside, the performance is pretty good but it will sometimes “over steer” if you’re too quick with the yaw. Make sure to add light controls and your M71 quadcopter will fly really well. 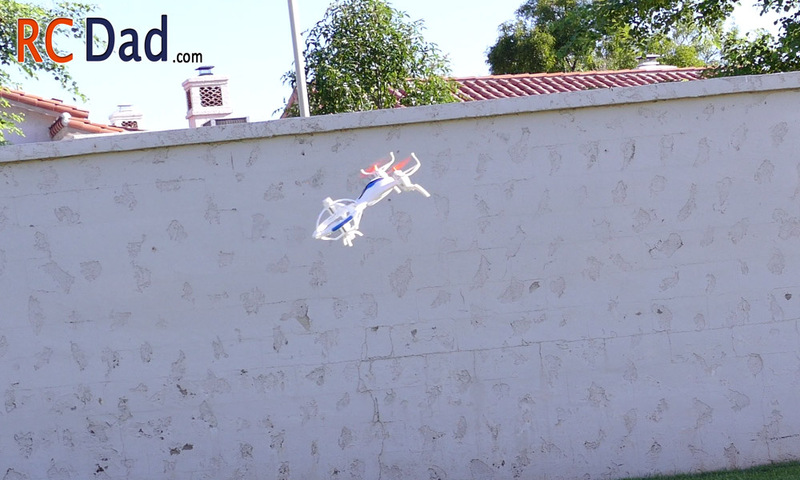 If you’re new to flying quads, I would recommend flying if over grass for the first time to get used to the way it handles. The front cage that surrounds the two front motors is solid and does a great job at protecting the front end. The M71 performed flips without any problems. I just couldn’t get mine to flip forward, but it handles side and back flips. It’s design and bright lights makes it a lot easier to see outside. 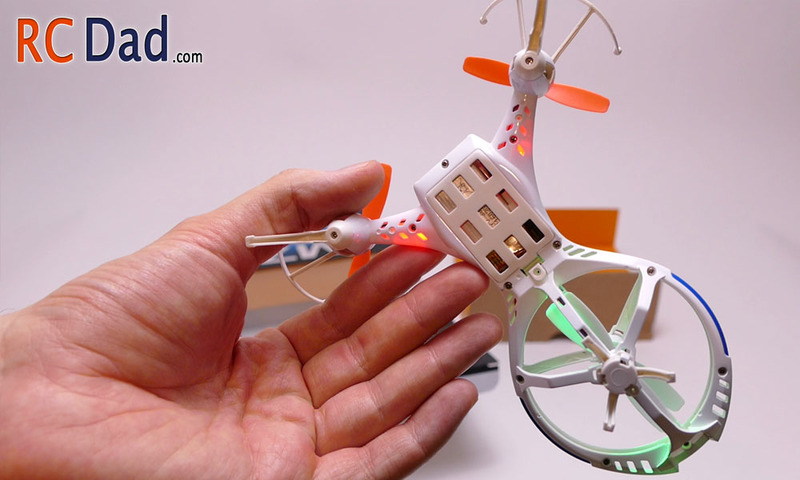 Most quadcopter are hard to distinguish the direction they’re pointing when far away because of their square design, but this tricopter design makes flying more enjoyable when you can easily see which direction the front is facing. The battery life is decent at just over 5 minutes. It is replaceable so expect to find cheap replacement batteries pretty easily. You will have to remove the battery cover to charge it with the supplied USB charger. There are tabs on the side that make it a little hard to pry open for the first time so be gentle. 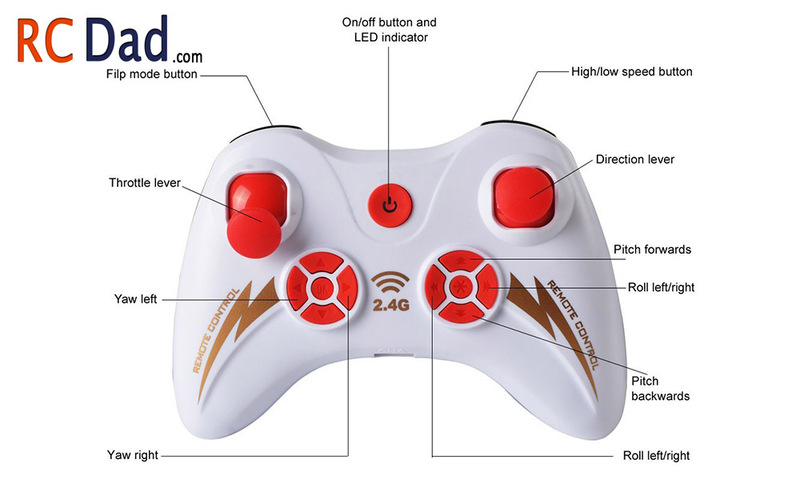 You can charge through the remote, which will take longer and drain your batteries pretty quick or you can charge it using most any USB port. 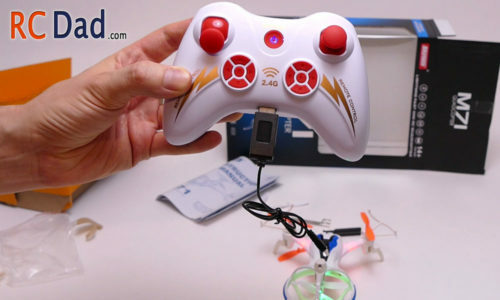 The remote of the M71 Scout quadcopter resembles a xbox 360 controller. 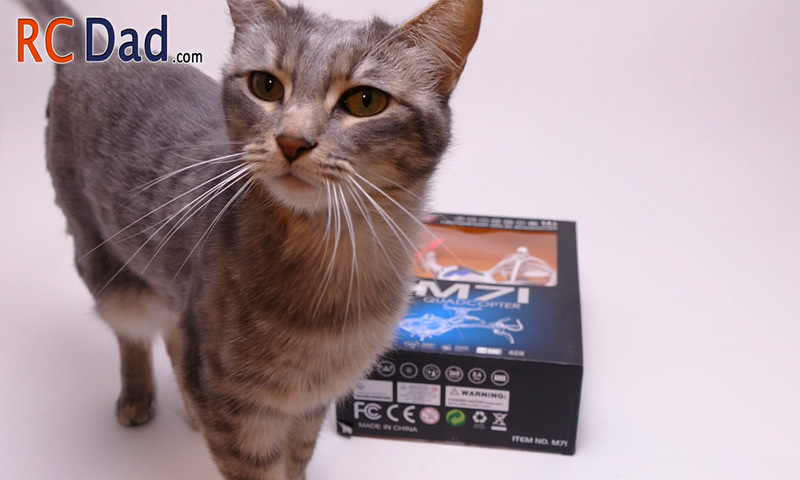 It’s very ergonomic and feels great in the hands. The flip mode button will have to be held down to perform a flip. Once you push the flip button, hold it down (you’ll hear a beeping sound) and then turn in the direction you want to flip.